The Gift of New Hope invites you to explore our yearning for God’s presence through a study of the lectionary Bible readings for Advent and Christmas. Each week’s scriptures call us to praise God as we actively await the coming of Christ and prepare our hearts and lives for his arrival. Through the readings, we hear the invitation to claim and celebrate the new hope we have in Jesus Christ. The season of Advent offers opportunities to prepare for God’s coming in human form in the infant Jesus and for the fulfillment of God’s kingdom with the second coming of Christ. Hope is the focus of Advent worship, study, and prayer. We will discover the light that began in the manger, which continues as we look forward with hope to Christ’s return. 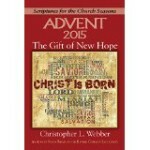 The Gift of New Hope is based on the Revised Common Lectionary scriptures for church year C, the third of a three-year cycle of Bible readings. The study includes commentary and reflection on readings from the Old Testament, the Gospels, and the Epistles. It offers the opportunity to explore these Bible readings in a five-session study. It will help participants understand, appreciate, and engage in meaningful and joyous celebrations of Advent and Christmas and to live each day in God’s hope through Jesus Christ. 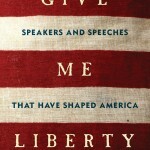 Sure to become a classic of American oratorical history, Give Me Liberty reveals the enduring power of America’s quest for a freer and more just society, and the context of the speeches and speakers―from Daniel Webster and Patrick Henry to Martin Luther King and Ronald Reagan―who gave voice to the struggle. ? “Give me liberty,” demanded Patrick Henry, “or give me death!” Henry’s words continue to echo in American history and that quote, and the speech it comes from, remains one of the two or three known to almost every American. The other speeches that have become part of our American collective consciousness all have one theme in common: liberty. These feats of oratory seem to trace the evolution of America’s definition of liberty, and who it applies to. But what exactly is liberty? It is a term open to a broad range of opinion, and questions about freedom arise daily in the news and in everyday life. Perhaps uniquely among the nations of the world, the United States traces its origins to groups and individuals who specifically wanted create something new. 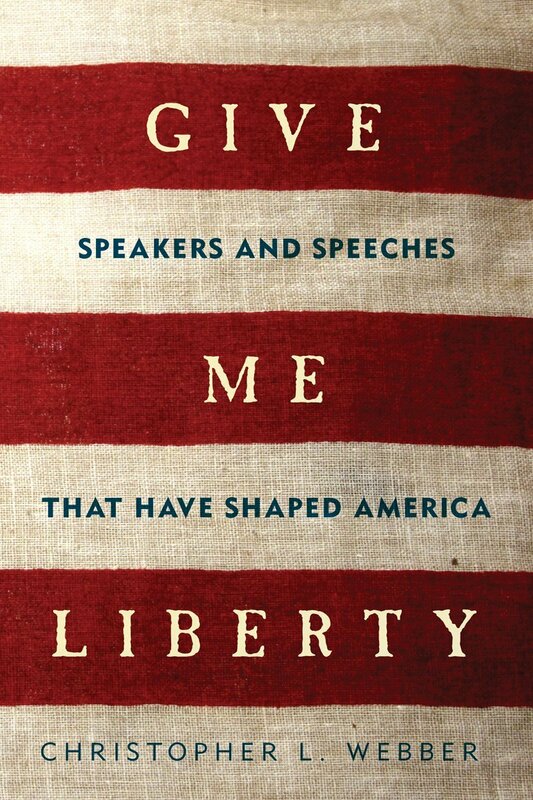 Webber’s insightful Give Me Liberty looks at these great speeches and provides the historical context, focusing attention on particular individuals who summed up the issues of their own day in words that have never been forgotten. Webber gleans lessons from the past centuries that will allow us to continue to strive for the ideals of liberty in the 21st century. The ancient Anglo-Saxon chronicle, Beowulf, ends with a question: “What wil l become of us now?” For well over a thousand years, the question went unanswered, then, in 1996, Christopher L. Webber published the first sequel to Beowulf to answer that question. 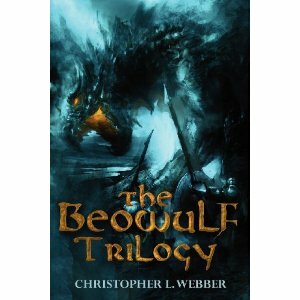 Now he has published his own translation of Beowulf, plus a new sequel that gives us a different take on “what happened next.” In Beyond Beowulf, the first sequel, we followed the adventures of Wiglaf, the young hero who helped Beowulf slay the dragon and then became the new leader of the tribe. The new sequel, or “paraquel,” gives us Wiglaf’s wife’s version of these events in a narrative called Yrfa’s Tale. Trolls and dragons make their appearance here as well, but Yrfa’s main concern is more domestic, child birth and upbringing, and her marriage to Wiglaf. The three narratives together make up The Beowulf Trilogy. Some people probably read Beowulf just because it is old, but there are two better reasons. One reason is the language itself, an alliterated poetry that exercises the same spell as any great potery or literature. But the most important reason may be the light that it throws on the human condition. Beowulf has to overcome a vicious monster and fire-breathing dragon what kind of courage is needed to deal with enormous evil? When Beowulf calls on others to help him, what does it tell us about fear and loyalty? Beyond Beowulf explores these same questions at a more human level. Beowulf has abnormal strength and courage but Wiglaf is a more ordinary man and needs to work with others. His tale also confronts issues of war and peace in ways that are very relevant to 21st century concerns. Yrfa’s Tale has both a broader and narrower focus since it covers a longer span of history but focuses closely on her role as wife and mother. Her story begins with her childhood and marriage and goes on to tell of childbirth and domestic tragedy. 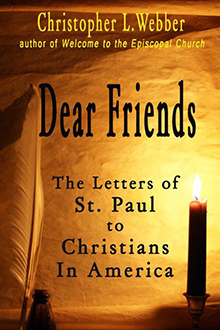 An American Prayer Book Christopher L. Webber, includes prayers for our country, prayers for American festivals, and prayers from our history. Authors of the prayers include Woodrow Wilson, Billy Graham, Martin Luther King, Jr., and the first Muslim to offer a prayer in the United States Senate. The prayers reflect such aspects of American history as the abolition of slavery, the assassinations of Presidents Lincoln and Kennedy, the bombing of Hiroshima, child labor, immigration, and the Gulf Wars. 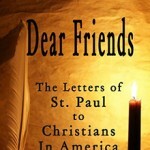 Prayer has always been central to American life but this book may be the first systematic attempt to make these prayers available. . Ecumenical and inter-faith, this is an important resource for clergy and a useful book for all those who believe in the importance of asking God’s guidance in our national life.